As previously communicated, SEB has of 1 January 2016, reorganised into customer segments. Restatement of the segment information for the new organisation has now been made for 2014 and 2015 and is enclosed in the attached document. Following the new organisation, and as presented in the Annual Accounts for 2015, goodwill will be monitored below the divisional level. Allocation of goodwill has therefore been made to the appropriate units according to IFRS and resulted in an impairment of goodwill amounting to SEK 5.3bn. The impairment is of a technical nature as it is a function of it being performed at business unit and geographical level, and not the divisional level. The restatement also includes allocation of the line item Net Life Insurance Income to Net Fee and Commission Income and Net Financial Income. The deferred acquisition costs within the life business will be part of Net Fee and Commission and not reported as Operating Expenses, in line with market practice. 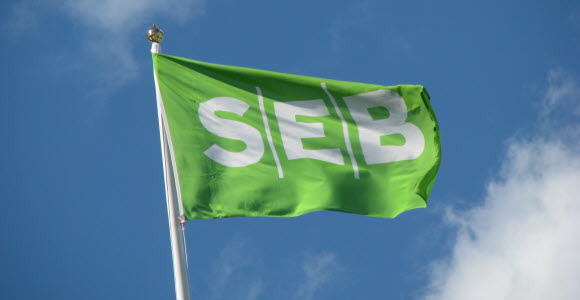 SEB's cost cap has consequently been aligned to SEK 22bn for 2016 and 2017. The first quarter 2016 results will also include SEK 0.6bn in other one-off financial effects from restructuring activities in the Baltic and German business and write-down of intangible IT assets no longer in use. The business outlook as described in the Bank's presentation of its three year business plan remains unchanged. The impact on the Common Equity Tier 1 ratio is marginal. A telephone conference will be hosted by CFO Jan Erik Back and Jonas Söderberg, Head of Investor Relations, on 30 March at 08:30 (Swedish time). To participate, please call +44 (0)207 162 0077 , quote conference id: 958249, at least 10 minutes in advance.